The field of robotics has the potential to make major advances in critical industries such as health-care, manufacturing, transport and agriculture. By doing so, they will drastically change our lives in the next few decades. XPRIZE is a series of competitions focused on bringing people together in solving realistic challenges whose solutions will help humanity. So far, the 10+ XPRIZE challenges have focused on challenges ranging from space exploration to adult literacy. A new XPRIZE is now on the horizon focusing on how a robotics and A.I. technological revolution can help mankind. 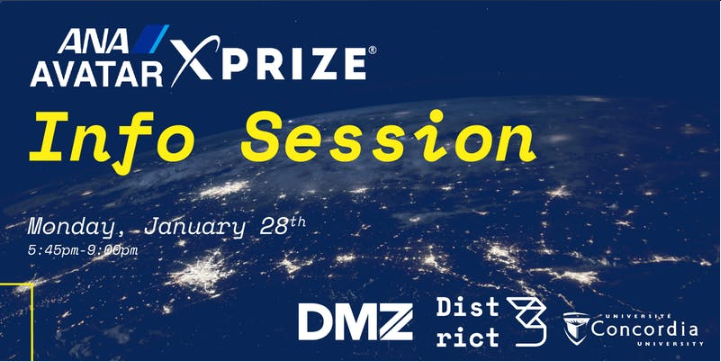 District 3 Innovation Centre and the DMZ are holding the first information session in Toronto on the ANA Avatar XPRIZE, a multi-million dollar international competition focused on building high-end, cutting-edge robotics. 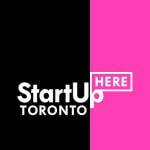 The event happens on January 28th at The DMZ Sandbox Space. Tickets are available online. The goal of the XPRIZE competition is to build an avatar: a robot with human tasks that is controlled and operated by a human from a significant distance away. The information session will bring together stakeholders from across the city to learn what an avatar is in detail, what technologies are required to be implemented in the end-product, competition guidelines and the resources that will be provided for you by District 3 and our partners. In addition to networking and mingling among such a diverse and creative crowd, talks that will happen in the evening. The talks will be given by experts in related technological fields, and the talks will focus on: what they do, how they are involved in robotics and certain technologies they work with that will be important for the development of an avatar.